KontrolFreek recently released their first community-designed thumbstick named Justice which you can read about here. 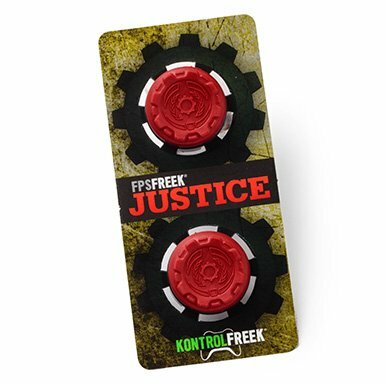 To celebrate, our wonderful friends over at KontrolFreek have sent over a pack of the new thumbsticks give away to our awesome readers. 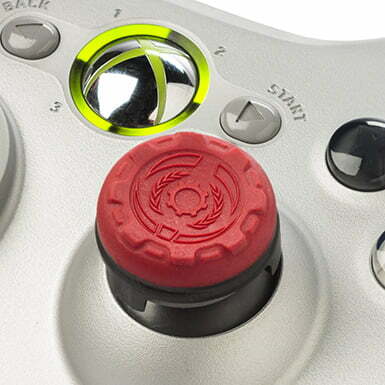 Justice was inspired by Gears of War: Judgment and brought to life by the GOW community. Built on KontrolFreek’s shorter CQC (Close Quarters Combat) platform, Justice is designed for GOW and other third-person shooters where combat can get up close and personal. Battlefield 3, very simple a little BF inside the mouth of a 3. Based on Minesweeper and would have the little “exploded bomb” icon they use. 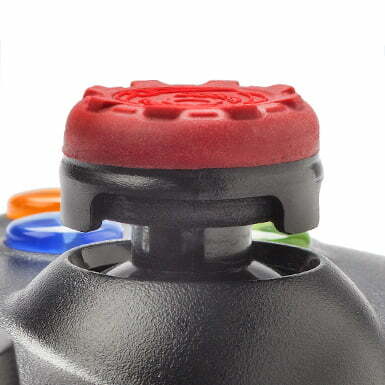 Probably a Halo themed one with a spartan helmet on the thumb stick with crossed battle rifles in the back or plasma swords. I would design the sticks but testing them out with a 1st person shooter game, and the colors would match the scheme of the console. I’m really to the cartoon Regular Show so I’d go with that for the theme and the design would be the left one would be the face of the lead character Mordecai and the right would be the other lead Rigby. Simple and really awesome for anyone into the show! i’d make some with injustice on them in honor of the injustice fighting game! It would have to have a dragon on it! It would be Mass Effect themed, gray with the N7 logo in red. the design needs work. They are all relatively the same (with the exception of the cqc). They should look at doing a softer rubber or maybe a cloth wrapping with more grip on the edges. A convex top may also be interesting. Skyrim game design with dragon logo. It would look like a bulls eye target!